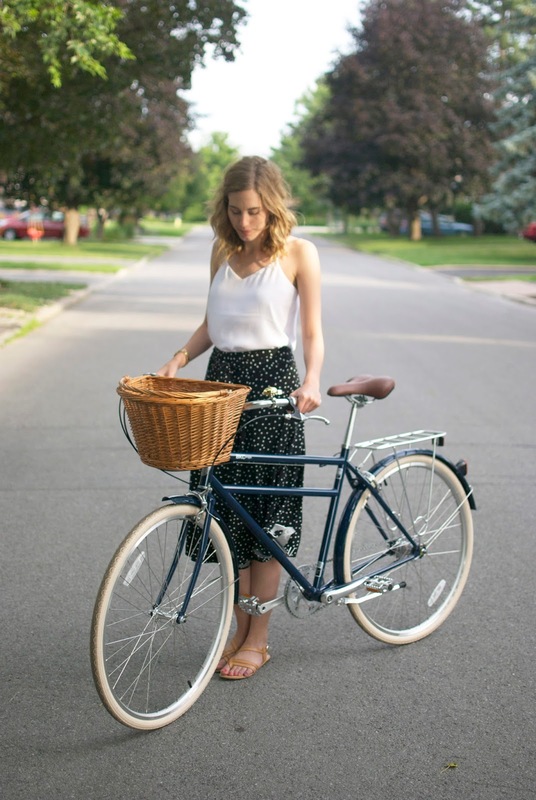 I bought a beautiful Brooklyn Bicycle Co. bike and have been riding it around the city as much as I can! I don't know if I've ever loved something as much as I love this bike. 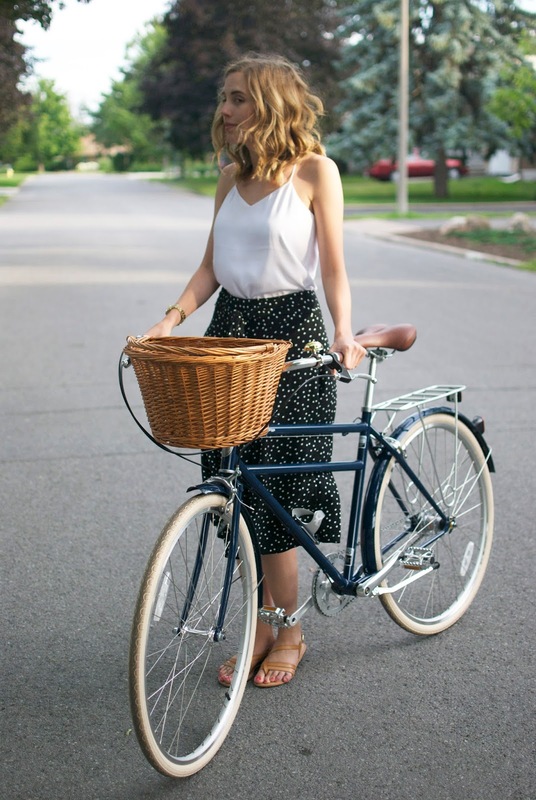 I've thought about riding it to work, so finding a practical outfit that won't get caught up in the fenders and is light enough for this balmy summer weather we're having isn't always easy. 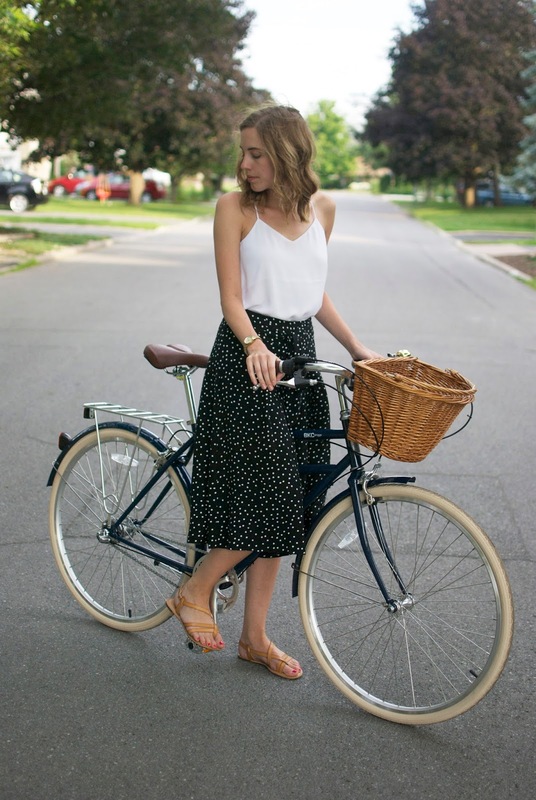 These culottes are perfect - they look like a flowy skirt because the leg on them is super wide, but they have the convenience of pants! I wasn't lying when I said I can't get enough of culottes. 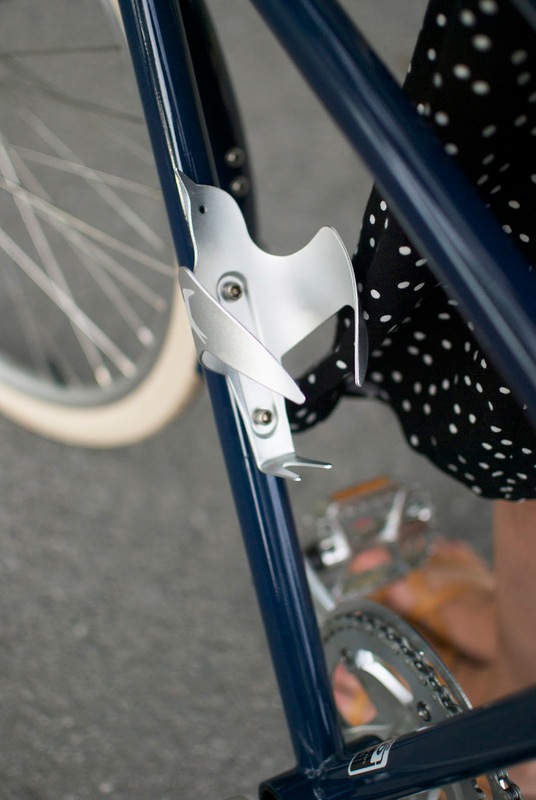 I love my Portland Design Works water bottle cage! 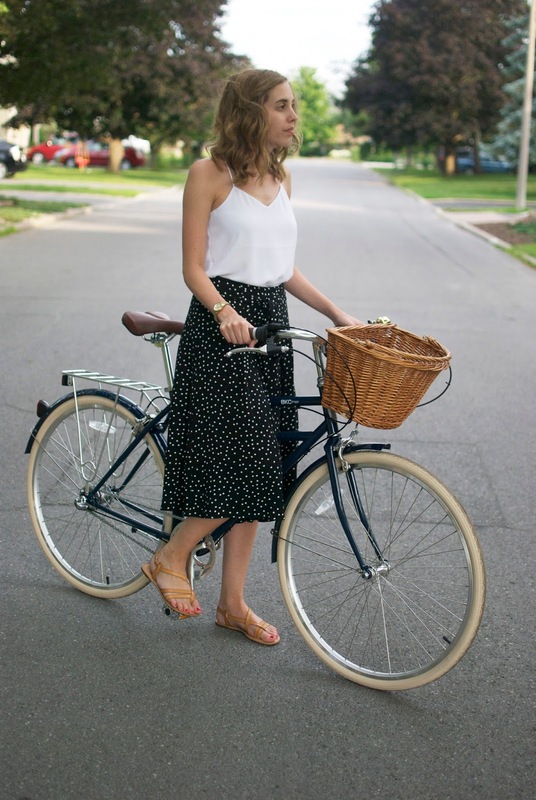 What I'm wearing // Culottes: Forever 21 | Top: Express | Bicycle: Brooklyn Bicycle Co. I LOVE it. So classic.